Just over a decade ago, a five foot six inch ball of fire transformed girls’ basketball at Norwayne High School into a spectator sport. Fans flocked to the gym at Creston to watch this dynamo who could not only shoot the jump shot, but could also drive to the basket the way the boys did. Sue Rupp continued to draw the crowds as she led the Wayne County League in scoring for three consecutive years. Her talents did not end with shooting and driving as she was also an excellent rebounder and top notch defensive player. Sue averaged over21 points and 13 rebounds per game in her career with the Lady Bobcats. 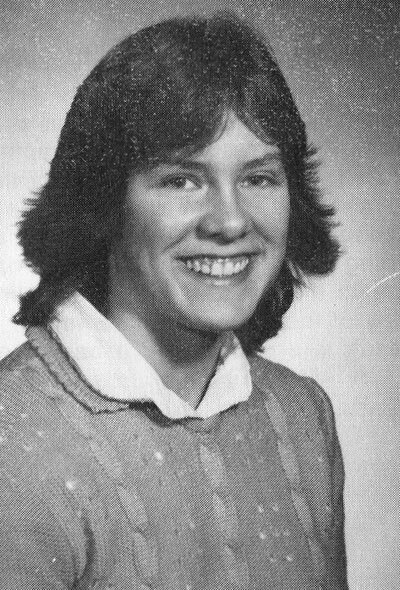 Her number of All-Wayne County League All-Star selection totaled three with Most Valuable Player laurels being bestowed to her in the 82-82 season. That season also saw her being given Special Mention All-Ohio by the AP and a Third Team All-Ohio selection by UPI. Sue then transferred her abundant talent to Ashland University and continued her stellar performance for the Lady Eagles. She was twice selected to the Great Lakes Valley Conference All-League team and was twice picked as Ashland’s Most Valuable Player. Her top accomplishment was becoming the All-Time leading career scorer for the Lady Eagles. The combination of her ability to drive to the hoop, pull up and shoot the jump shot and an excellent average from the foul line made her a difficult player to defend. Sue was a leader in the classroom as well. Her four year Grade Point Average was 3.95. She was selected to the All-Conference Academic team three times and was an academic All-American in both 1985-86 and 1986-87. Her performance on the court and in the classroom enabled her to be awarded the Baden Graduate Scholarship her senior year. This scholarship is annually presented to the top two academic women college players in the nation. Sue’s academic and athletic prowess has gained her a position in the Wayne County Sports Hall of Fame.